In a description of the ways that scholars have written about India, Amartya Sen posits three distinct approaches to the “images of India’s intellectual traditions”: (1) exoticist, (2) magisterial, and (3) curatorial (Sen 2005:140). The exoticist approach focuses on the strange and different “wondrous aspects of India.” The magisterial category “strongly relates to the exercise of imperial power” of the British and the Raj (India’s internal imperialist powers). The third category (curatorial) is related to attempts that classify, note, and later exhibit Indian phenomenon. Here, I wish to discuss the ways in which images of North India’s musical traditions have been represented and studied. My aim is to provide an overview of the methods and approaches that characterize Hindustani/North Indian classical music scholarship. Although my focus is primarily on the discipline of Ethnomusicology, there is no way of adequately understanding its approach without a discussion of India’s myriad musicological works. Following Sen’s arguments above, I categorize methods of North Indian classical musical scholarship into three categories: (1) master narratives that deal primarily with theoretical and historical discourses, (2) ethnographies that counter and write against those master narratives, and (3) encyclopedic entries. Through using a Sen type analysis and my own categorical tripartite, I wish to encourage discussions that go beyond simple, linear descriptions (even if I am proceeding from past to present), and move toward a dialectical discussion of various ideas and opinions of musicological development. I do not mean to say that certain approaches must be viewed as “exoticist,” or “master narrative,” or even “exoticist master narratives,” but rather, I aim to look at how two analytical models (Sen’s and my own) can work in relation to one another and assist us in better understanding developments of non-linear trajectories. “In broad terms, the history of scholarship on Indian music begins with the insular elaboration by Indian writers and proceeds toward increasing Western influence, international authors, and a multitude of approaches” (Simms 2000:42). The first scholarly writings on music were theoretical treatises that developed from Bharata’s ancient treatise on the performing arts, the Natyashastra (second century). 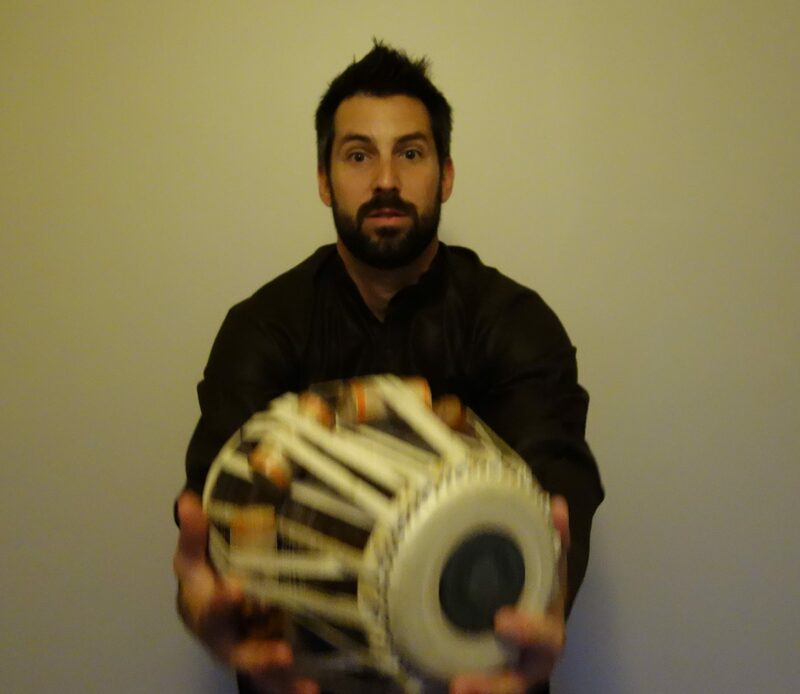 Robert Simms breaks down the scholarship of Indian music into five distinct time periods: (1) 1300-1550, (2) 1550-1780, (3) 1780-1900, (4) 1900-1960, and (5) scholarship in the late twentieth century. What concerns us here however, are the first two periods, from 1300-1780. During this time almost all of the writings were commentaries on Sarngadeva’s thirteenth-century treatise, the Sangitaratnakara, “an approach that would occupy Hindustani scholars from the sixteenth to the eighteenth centuries” where the scholar Sudhakalasa in particular, was responsible for introducing iconographical personifications of ragas (Simms 2000:44). This is an example of what I categorize as the master narratives. The writings of this period focused on tuning theories, raga theories, and drum syllables that later became the concept of theka in North Indian classical music. I do not mean to argue that these kinds of studies were confined to this period alone; these theoretical discourses are still in use today (see Nazir Jairazbhoy’s article, “What happened to Indian music theory?” in the Winter 2008 Ethnomusicology Journal). What I intend to locate however, are master narratives of Indian music scholarship that began through political (and perhaps magisterial) efforts. In 1428 the Muslim ruler Sultan Malika Shahi, “organized a conference of musicologists to review and edit his musicological manuscript collection into a single volume, which resulted in the Sangitasiromani” (Simms 2000:45). Efforts such as these mark the role that aristocratic patrons played throughout the emergence of India’s musicology. That musicology was patronized through the efforts of ruling classes—despite the fact that early Muslim powers were not involved in overt political struggles with the majority Hindu population—denotes that its popularity was embedded in political efforts. With this understanding, we can view early musicology as a process of the establishment in a magisterial type of master narrative.